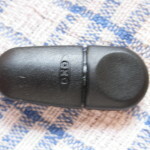 A little while ago I was contacted by OXO UK asking me to get in touch if I’d like to review any of their Good Grips kitchen products here on my blog. 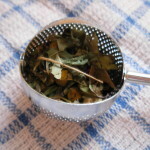 They asked me to choose two products and the first I am reviewing is their Twisting Tea Ball. First up though, who are OXO? OXO International, who have no association with our British stock cubes, are a modern American company founded by Sam Farber. He noticed that his wife was having problems using some kitchen tools, due to arthritis in her hands, and asked himself why kitchen tools were still being made the same way they had been for generations, why had no-one updated these clunky tools, why were cooks suffering using tools which hurt their hands? He decided to do something about it and set about creating a range of kitchen tools designed to be more user-friendly, comfortable to hold, easier to use and suitable for everyone. 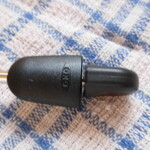 The initial range of 15 OXO Good Grips kitchen tools were launched in 1990 and OXO have won numerous awards for them and now offer over 850 products. One of the integral philosophies of OXO is Universal Design, that is the design of products to be usable by as many people as possible, taking users needs into account at the very beginning of the design process. To remind them of all the different & diverse hands, their products need to comfortably fit, OXO employees collect lost gloves in the street. I love their lost glove wall shown here at their New York office. 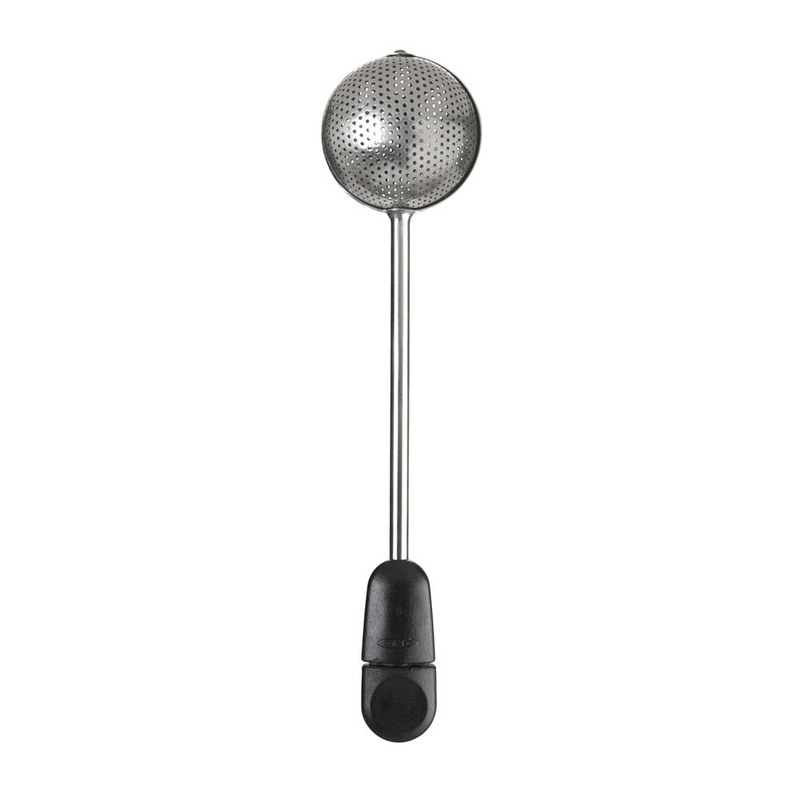 Whilst researching the Good Grips range, I came across an article mentioning how good their potato masher is. 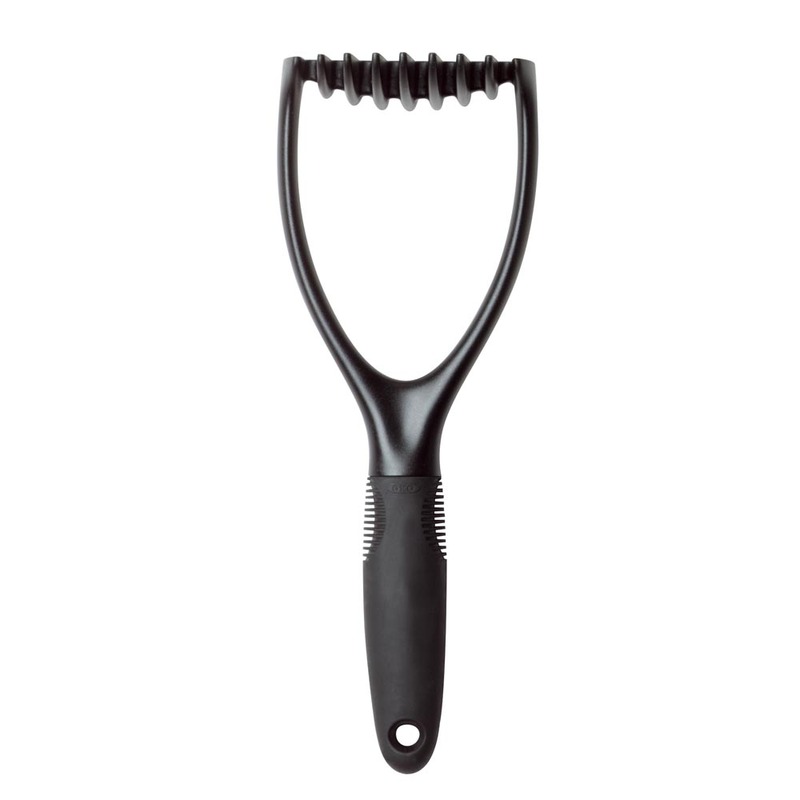 As I read about the product, I thought “my masher is that good too though”. 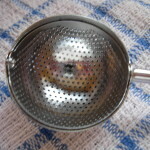 I went and had a look and sure enough my masher is from OXO and I hadn’t even realised! So what about this Tea Twister thingie? 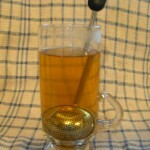 It is called a Twisting Tea Ball and is great for loose-leaf tea. 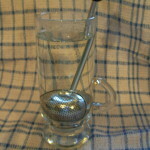 I love tea but my Mr Vohn doesn’t, so it is a waste for me to make a pot of tea. 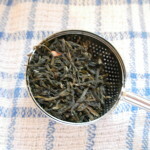 I have ended up succumbing to teabags but I much prefer to be able to use loose-leaf tea. 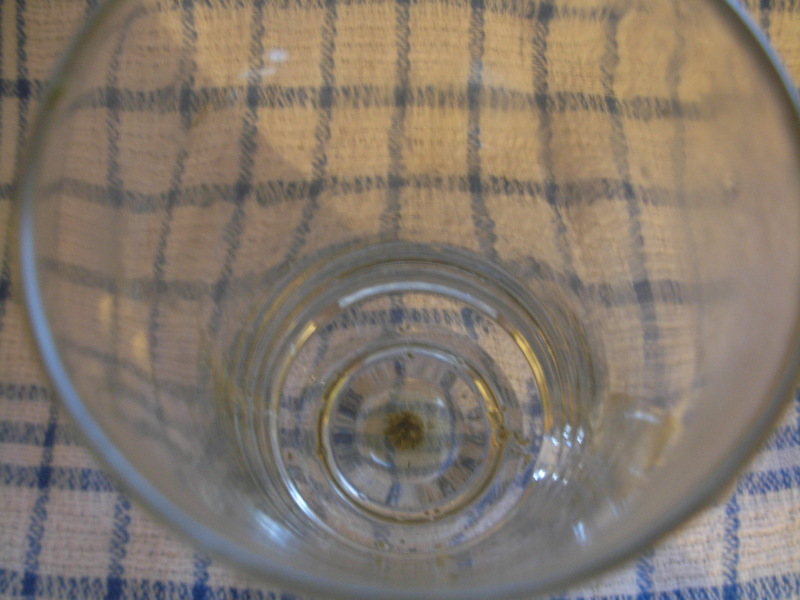 This is where the twisting tea ball is great. 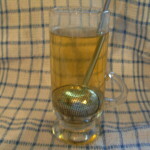 I can scoop up enough tea for one cup, turn the little twister at the end and the ball spins around, clicking into place and then I just plunk it into my mug of hot water and leave it to infuse. 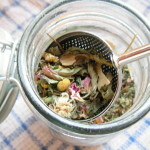 Lovely infused tea – and look – no horrible tea leaves at the end! Lovely! 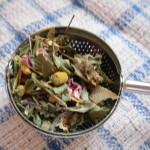 This blend is usually a pain to wash out of a teapot because all the petals get stuck – but the tea ball is so easy to clean – just turn the nifty twister to open again, tap out the tea & give it a rinse. Brilliant – I am definitely converted. 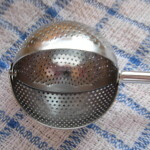 OXO also mention using the twisting tea ball to steep spices in recipes. Mulled wine anyone? P.S. 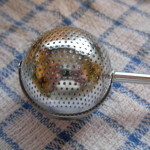 The OXO Twisting Tea Ball retails at £10.